This EnCase EnScript was written to parse the Vista/7 'setupapi.dev.log' for USB events. This log contains a lot of information about hardware events, including when USB devices are attached. Please send me an email so I can better troubleshoot your issue. I am looking at the USBSTORE against SYSTEM hives and it showed the USB deivce name, serial number, and Last Write Time (2013-02-19 03:29:54. The serial number matches the above result but the date stamp is different. 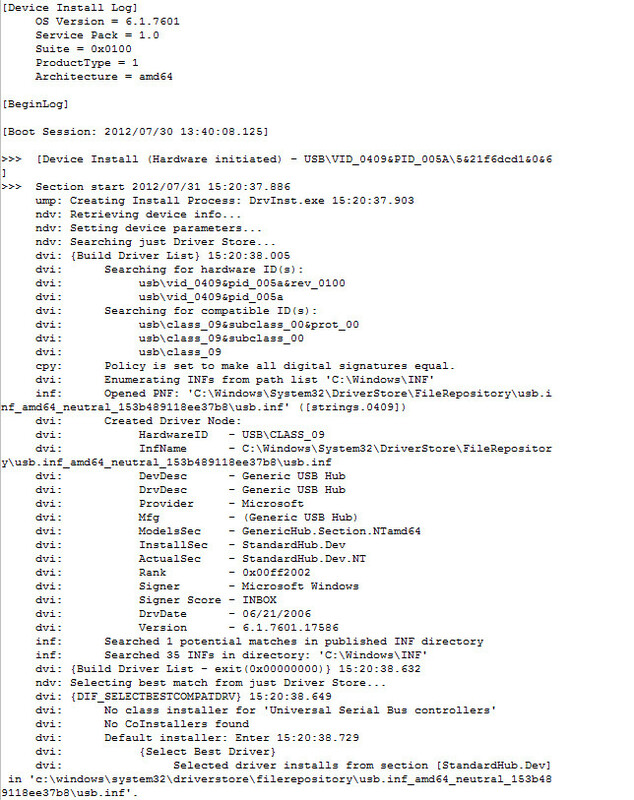 I would definitely expect the timestamp to be different since this log records in real-time with the USB device was connected, which the USBSTOR only has a timestamp associated with the registry key, not necessarily when it was first or last connected. Very nice enscript. 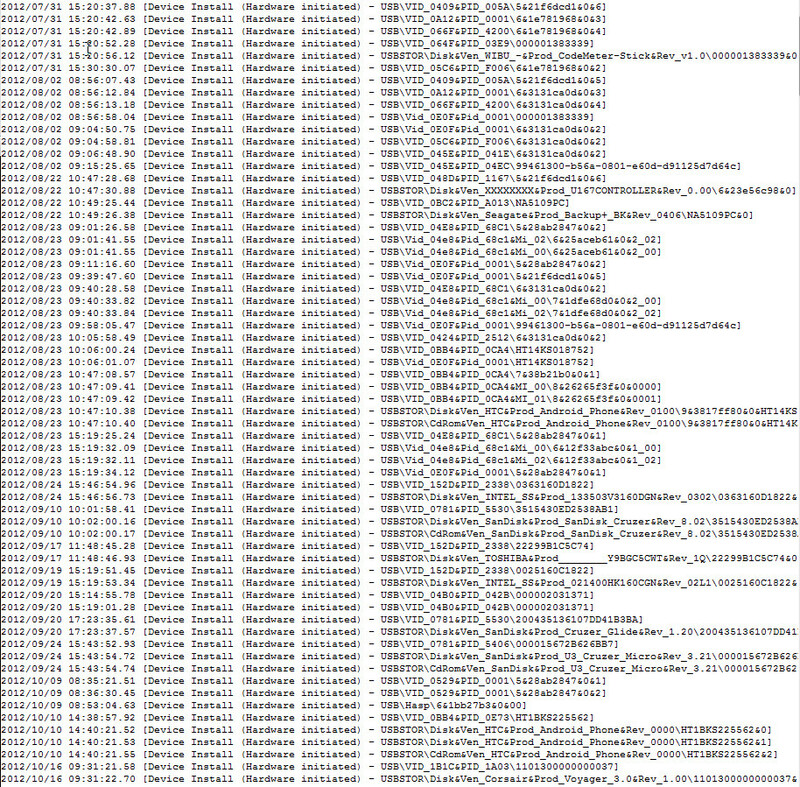 What happens if there are more than 1 setupapi.dev.log file ?